I've talked earlier this week about my list of books I read in the last couple of years and failed to review or highlight properly. One such title is Genevieve Valentine’s debut novel, “Mechanique”, a delightful story of love, friendship and rivalry in a dark and apocalyptic setting. As a matter of fact, my regret is deepened because I find Genevieve Valentine’s “Mechanique” to be one of the most original and powerful novels of the recent years. 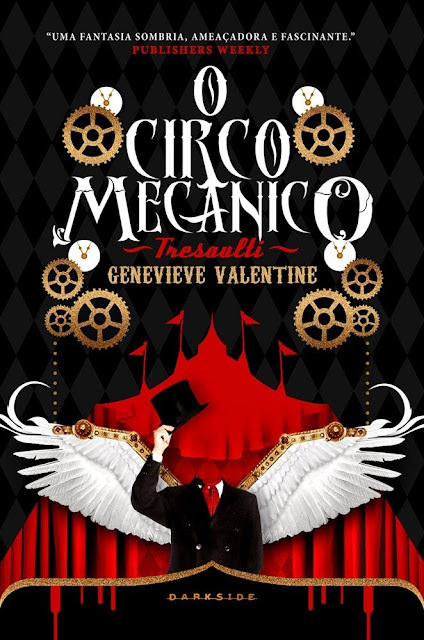 This summer Genevieve Valentine’s novel will be published in Brazil too, by DarkSide Books, and this edition comes with a gorgeous cover, perfectly suited for the beauty of “Mechanique”. Looking over this wonderful cover I feel an urgent desire to read the novel again and hopefully I would manage to fulfill my wish soon. 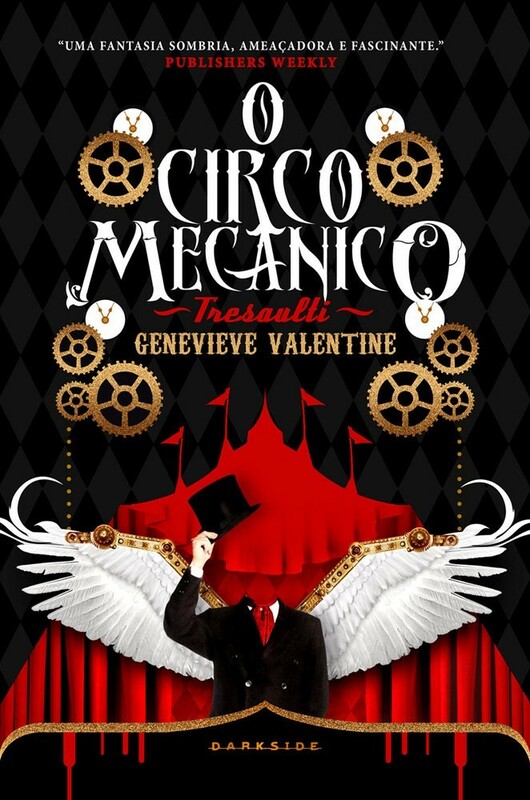 Genevieve Valentine’s “O Circo Mecânico Tresaulti” will be available in Brazil from August, 25th.